Yoga Vasistha as the name of the scripture indicates, emanated from Sage Vasistha, and comprises of thirty-two thousand verses. Its authorship is attributed to Sage Valmiki. 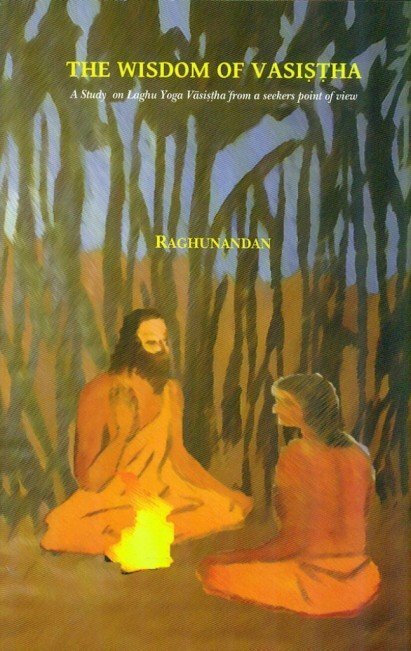 An abridged version of six thousand verses has been called as 'Laghu-Yoga-Vasistha'. His other work, the 'Ramayana' is called an Itihasa, and is very much on the mind and lips of common folk. But Yoga Vasistha has not been known by many for obscure reasons. When one takes up the study of this great work, one not only gets inspired to go in for the Divine adventure, but discovers practical hints and guidelines at all stages of Sadhana. The Upanisads were mostly beyond the reach of common man, and the Puranas were too indirect and abstract in their approach, so all that has remained are some distorted stories. Yogavasistha or Yogavasistha Maharamayana has been a guide book to earnest Sadhakas, all over the country. The popularity of this book appears to be due to the fact, that it is a happy combination of terse Upanisadic thought clothed in the story form. A scripture becomes relevant, when it gives the truths of the Upanisads, using a common man's language with illustrative stories, helps a beginner as well as an advanced seeker. It is believed by some that Sage Valmiki wrote the Ramayana for the purification of mind and to create a mood of seeking in the society. It is well known, that the story of Sri Rama, gives an exemplary ethical and moral behaviour in an individual, and a glimpse into the ideal culture, through the description of Ayodhya. For only on a strong ethical and moral foundation can one hope to build the super-structure of spirituality. Attempt has been made to cover all the stories in six Prakaranas. This book is a study by a seeker, and an attempt to present the philosophy, and practical hints contained in the book, to fellow seekers who are not very familiar with Sanskrit. It is essentially meant for inspiring the seekers to take up the study of the original text, which is a mine of practical wisdom. The essays contained herein, are glimpses into the meditations on the golden verses and their connection and relevance in our day-to-day life. Consequently, the interpretation and the perspective is not really meant for scholastic pursuits.